Encounter With Nothingness: The God. After spending the decades in moderated Brahmin family, It's a time to resign my thoughts to the awkwardness of God’s existence…who/What the heck is It/ She/ He? We all want to know, we are (humans) blessed (cursed?) with never-ending curiosity ….or may be we are afraid of the UNKNOWNS. We want to reveal the entire cosmos … to be sure, whether to monish or not. ‘Indu shakha nyaya’ - Do not look at the branches, I am showing you the moon. We are here on our own…like writings on the sand few years of consciousness, we try to encrypt and decrypt, and the wave called death comes and wipe us off. The god is as if writings on the water….we just don’t know, the ever evolving entity, impossible to retain, Keeps on happening to us after the interval of every life. Misunderstanding is very likely. Who knows? if we have misinterpreted life as death and death as life. It is somewhat scary to know that we are on our own. 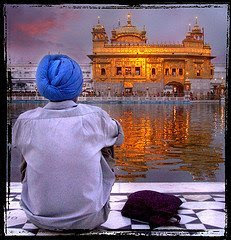 Once you come here, some how you through it…little prayers, little hope, little fear, little deeds and the destiny. We clandestinely tug our encrypted utile in the conscious to be used after the mighty wave rub us off…to ward off the UNKNOWNS. As the Love is a biggest illusion, God is the heftiest gimmick we deal with. As my father says, he is a god because you believe. Just your bowing down is capable of turning a stone into deity. As Karl Marx said, ‘Religion is the impotence of the human mind to deal with occurrences it cannot understand. It is the sigh of the oppressed creature, the heart of a heartless world, and the soul of soulless conditions, Man created the God and not the God created the Man”. There are six types of wealths, viz.shama, dama, uparati, titiksha, shraddha and samadhana. 1) shama - tranquility of the mind. "When the mind wants to do too many things, it gets completely scattered." With shama, you can focus your mind and be more alert. 2) Dama - having a say over your senses; essential, because many times you don't want to do something, yet you do! With dama, your senses don't drag you; instead, "you will say `yes' or `no' to the senses." 3) Titiksha - `endurance or forbearance.' When difficult things come, forbearance allows you to go on without getting completely shaken and shattered. Opposites such as health-sickness, losses-gains... come and go; armed with titiksha, however, you aren't deterred by whatever happens. "Often, whatever is unpleasant can become pleasant later on. These changes go on in life... The ability to not get carried away by the events, the judgments, is titiksha." 4) uparati- rejoicing in your own nature. How? By not doing things because someone else says or does something, by not laboring hard to win approval, or keeping up with the Joneses. "Being in the present moment, being in the joy that you are, the ability to rejoice in anything that you do, that is uparati." 5) shraddha - "Faith is needed when you have found the limit of your knowing... Your willingness to know the unknown is shraddha." It would be fanaticism to think there is nothing beyond. Absence of faith is doubt — in yourself, others, or the whole. "Ninety nine per cent of people doubt the whole, because they do not believe that there is a whole that is functioning." 6) samadhana - being at ease, being content. "Being at ease with everything, the whole existence... a great wealth by itself." Especially the example of the writings on the sand and writing on the water… this is Intelligent. I wonder whether you believe in the concept of reincarnation. Belief is a starting point (like an initial condition of a differential equation) that determines your path of knowledge. If you believe in reincarnation, then it is possible to argue that the knowledge (and the "wealths" you so describe) acquisition is a process that extends over innumerable lifetimes...an evolution of human soul, if you will. So, its easy to say any layman can become Buddha or Mahavir, but that is an incomplete statement. A more complete statement will be to say that any layman who has achieved a level of Boddhisatva (a stage preceding Buddhahood) in previous incarnation can achieve Buddhahood in this lifetime. Hello...You are very correct & nice work :). what a good topic to talk with which will make a person to revisit on things he does in infront of god. I dont know much about types of wealth you defined but they maybe a fact. For me it has become a toughest part of being to be like a normal man or a sanyasi adopting his features. Because a sanyasi's thought is so flexible that he never expects from life, so never get upset. Mentally never stuck of achieving things in life & its obvious that never get depress. I hope you are understanding my point here! happynees in life..haha. Here I mean why people can get frustrated and think of Salvation if their desires are not met. I wonder why parents to their children plant an idea of becoming Doctor or engineer, which becomes the goal for that child & rest of his he struggles to achieve it, when he can do much more things in Life not just becoming a doc or engi. I mean our subconscious mind see path or things which are open only in this field when we can do so much on other fields to. I cant blame my parents also as they have been brought up with such a mentality. I am not scared for god but do wish for my likings. But do believe society or environment a reason for prayers. Where those praying come inside us? When i think on this....lets say a person has an intention of constructing a house of his likes (again seeing society he develops this ambition), and for this he keeps praying to god each day, to give energy, to give money, overall to take care of him till the house is made. Here 3 things can be observed 1) Person is extreme presure to build house as people praise him if he does so...2)person is struck with building just 1 house in his mind, when he has the ability to build more than one ! 2) make god happy by doing poojas and get what you want. Does praying come from like this? these kind of intentions in ones life triggers to pray infront of god? does it solve our question of why prayers are done & how they come? Where does it go? It will get convert in the form of belief, each new prayer is kind of getting new belief, to feed subconscious mind! Hamare banaye huwe sapno keliye, koi kyon yehsaan karega aur hum kyon usse yehsaan maang rahe hai, jab vo sabhi sapne tum ko hi poora karna hai.Dreaming is good in this directionless life which keeps us active, but you only had to fulfill it.
" is really a good one.No child is born with a knowledge of a GOD, our soceity makes him to believe. According to me Prayer is just a STATE where we focus on our goals with a lot of respect infront of belief. "Belief consists in accepting the affirmations of the soul; Unbelief, in denying them."